Sports betting has come a long way from the days when a bettor would need to walk into a brick and mortar casino or talk to a bookie in a shady backroom of a local bar to get in some action. Because of that, most of the glamour and dangerous element to the hobby has gone away thanks to the introduction and rise of the Internet and smart phones. Sports bettors no longer have to scour the daily newspaper for information on local teams. We now have databases full of information, sites that track trends and statistics, and real-time breaking news that we get delivered straight to our mobile devices. Using the readily available information has made betting in 2018 efficient and as simplified as ever, especially with the younger generation of sports bettors. 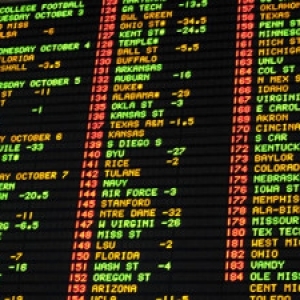 Instead of having to go out of your way to place a bet, a bet can be made on the computer or through a mobile app from a sportsbooks of your choice. There are so many more ways you can take advantage of the technological age of sports betting we are in, and I will explain a few of them below. If you've ever tried to create an excel spreadsheet and log your bets in a professional manner, including wins, losses, profits, trends, stats, etc, then you've probably wanted to smash your computer into pieces because of how difficult excel is to work with. Instead, we try to keep a rough mental tab on our progress for the month or season and ultimately end up losing way more than we think. With the new age of technology available to bettors, it's now much easier to track all of your betting action on your smart phone with an App. Using one of the many Apps available will help you become a better handicapper and will help you understand what kind of bets you are good at and which ones you should avoid making. The App will do all the hard work for you and give you detailed analysis of your betting habits. In 2018, it would be stupid not to be use this feature that is readily and easily accessible on your smart phone. The world revolves around mobile devices. They keep us in constant contact with the world around us including family, friends and complete strangers through Facebook and Twitter. Mobile devices also serve their purpose as a method to simplify your betting needs. Almost all online sports books have a mobile version of their software that allows bettors to make wagers from anywhere that has cell service. Why would we need to make a wager on our phones? Well, think of the sports betting market like the stock market. Once you see a great line or profitable situation, you have to jump on it before the line or price disappears for good. Almost every pro handicapper monitors line movement in hopes of getting the right price to invest in. Furthermore, betting from your mobile device allows you instant access to in-play lines. 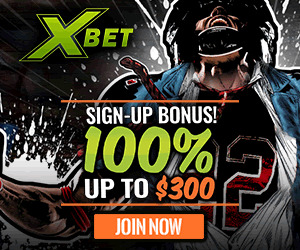 It must be stated that nobody has perfected the exact method required to become a successful bettor. Each bettor has their own unique handicapping style, but they all use the same data. The difference is how they process it. Many bettors will just look at scores and records on ESPN or TSN in Canada and comfortably conclude on who they believe is going to win the game. Other handicappers will take advantage of the endless supply of data kept by certain places. For example: Doc's Sports keeps an entire database filled with lines from various sportsbooks and keeps detailed records of ATS stats for nearly every team in every sport. Furthermore, Twitter is among the best source for any late-breaking injury news, weather updates, trade rumors and everything in between. The information is available for every single person to consume, but what you do with it can be the difference between being a winning bettor or a losing one.